Here are our recommended hotels for your stay in Helsinki during Nordic Business Forum 2019. To celebrate the unique gathering of energy and enthusiasm Radisson Blu Hotels are offering exclusive rates for the Nordic Business Forum 2019 community. Our event guests can book rooms 15 % benefit for the flexible rates. You will automatically receive the discount by booking a room through the links provided below. The offer is valid from 6.10.2019 to 13.10.2019 and bookable until 31.5.2019. Please choose the hotel, click Book Now, insert dates and select promotional code (NBF19). Room reservations can be canceled without penalty until 18.00 on the day before your arrival. For cancellations made after that time, you will be billed for the entire reservation. Hotels have the right to restrict availability. A credit card is required during the time of booking. Nordic Business Forum 2018 will be held at the Helsinki Expo & Convention Center , which is located close to the center of Helsinki with excellent transport connections. The Helsinki Expo & Convention Center is situated next to Helsinki Pasila railway station, so we highly recommend arriving by train. All national and international trains (apart from Allegro trains) stop at Pasila, and it is only a 300-meter walk to the main entrance of the Expo & Convention Center. The Helsinki-Vantaa Airport is 13 km from the Expo & Convention Center. Look for the I and P trains, which connect the airport to the Pasila railway station. The journey takes around 30 minutes, and trains leave every 10 minutes during the day. You can also grab a taxi from the airport, which will take roughly 15 minutes and cost about 35€. If you arrive in Helsinki via ferry, we recommend that you either take a taxi or a tram. Both are located in front of the arrival terminal. If you are coming from Tallinn with a Tallink ferry arriving at 9.30 in Western Terminal 2, you are able to take a free-of-charge shuttle bus service. We will have transfer buses waiting for you at the harbor and customer service people guiding you. The buses will drive straight to the event venue (no stops in hotels, as they are not ready to check you in yet). You can reach the seminar venue on buses 506 and 69, both of which stop at the Helsinki Expo & Convention Center. 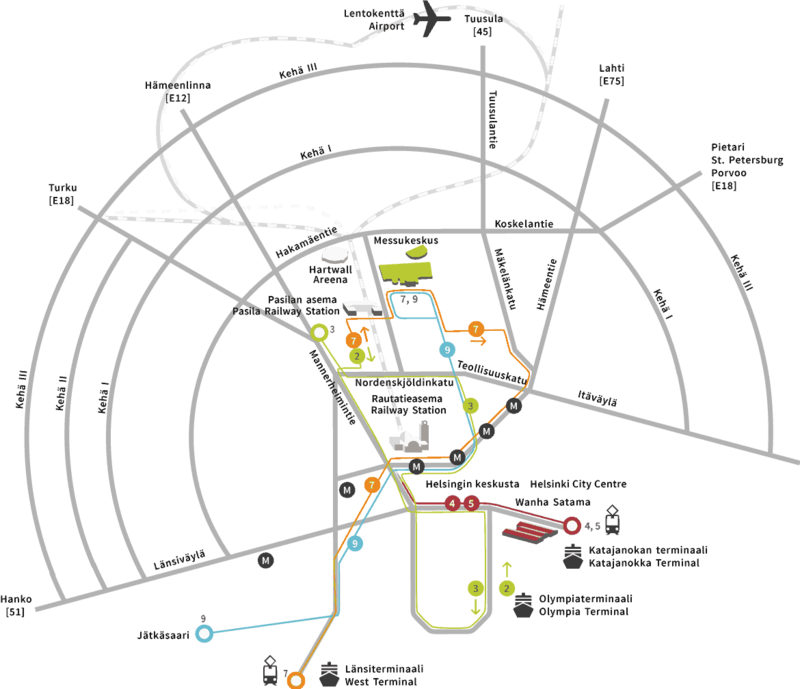 You can reach the Expo & Convention Center easily with tram lines 7 and 9. All of these trams connect to the city center. To arrange for a taxi, call +358 (0)100 0600. Tell them that you are going to the Helsinki Expo & Convention Center and they will know where to go. The taxi stand at the Expo & Convention Center can be found at the main entrance (South Entrance). The Expo & Convention Center Car Park is accessible to everyone and always open. It is located at the North Entrance of the venue. If you are using a GPS, enter the address: Ratapihantie 17. The parking fee is €12, which allows you to park once and stay for 24 hours. Parking fees can be paid at the automated ticket machines. We encourage you to pay for your parking upon arrival to avoid long lines at the machines at the end of the day. Please be advised that the schedule might be subject to change. Sara Blakely – How to find your idea for growth? 1. Follow our official event hashtag #NBForum2019. 2. Join the official NBForum2019 Facebook event page. 3. You can also find us on Twitter, Facebook, Instagram, YouTube, and LinkedIn. 4. Follow our blog for event updates! We offer translations of the main stage presentations into Finnish, Russian and Estonian.